May 2017: I have been flying to Spitsbergen since Polar Pioneer, the small ice-strengthened ship I work on, set off on its maiden voyage in the year 2000. It’s a rare reward to look down upon this wild place and gaze across its breadth. And you know it must be good when the pilot manoeuvres the plane so that both sides can gain a clear view. March 2017: In our final weeks at Maatsuyker Island, my partner Gary and I had the pleasure of sharing the island with the Friends of Maatsuyker Island (FOMI), a fun-filled volunteer group who visit Maatsuyker each year for an intensive working bee. Amongst the hard workers was photographer James Stone. On the second morning of FOMI’s stay, I made my way down to the lighthouse at first light to carry out a routine daily check. Rounding the corner I did a double take at the sight of a camera and tripod standing untethered on the path, where it had stood overnight. With the relentless winds at Maatsuyker, snagging a time when you might find your camera and tripod in the same place as you left it is a noteworthy event in itself. But when I saw the results of James’ photography, the aurora shown below, I was the one blown away. I invited James to share the story behind his stellar images. May 2016: On a day of screaming winds and rain squalls right across this island state of Tasmania, I am reminded of this storm-bearing front approaching Maatsuyker Island. Within minutes Maatsuyker was deluged. During the writing of WILDLIGHT I frequently drew upon my island photographs; this one helped build a scene for a destructive storm that would leave its mark on a fleet of fishing boats as well as those on the island. ©Robyn Mundy. March 2016: Brendan Downer, New Zealand chef and trusty shipmate with whom I have shared many a polar voyage, captured this photo of an Arctic Hare, Lepus arcticus, at Eskimobugt in East Greenland. Isn’t it a beauty! The white coat makes a brilliant splash against the Arctic landscape, and with the help of those big ears, an adult stands at an impressive 60cms tall, weighing in at up to 7kgs. Arctic hares don’t stand still for long. The farther north into the Arctic, the larger the herds: while I’ve only seen a handful at a time, they are known to bound across the tundra in herds of over two hundred, reaching speeds of up to 60 kilometres per hour. Imagine! February 2016: Sean Lee is a young action and adventure sports photographer based in Perth, Western Australia. With a focus on mountain biking, Sean’s images appear on the covers of national and international publications. This powerful image won the 2015 Pinkbike Photo of the Year Award. 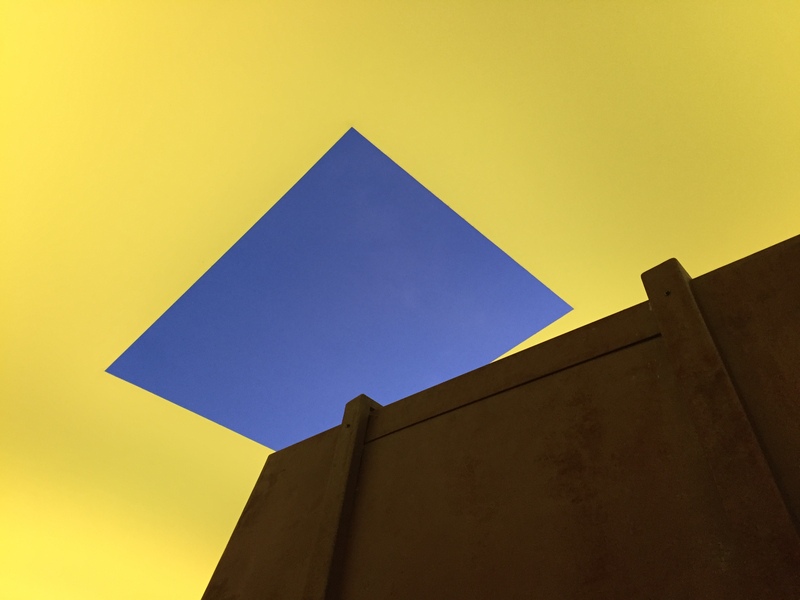 The Turrell exhibit in Canberra was amazing, from his early work with light to his huge outdoor project in the US and the room that seemed to have no corners–quite disorienting. The hour-long outdoor Turrell sunset show at MONA is really worth packing a picnic tea for. I especially enjoyed the heated seating! I’ve never been up early enough to see the dawn show but imagine it is equally spectacular.